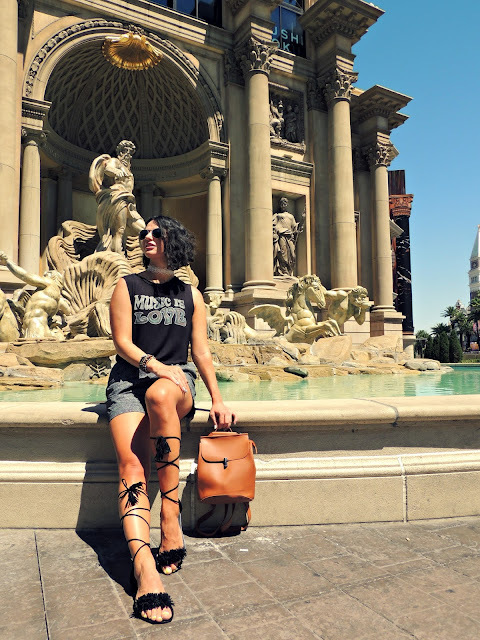 Welcome back to my blog or should I say Las Vegas! 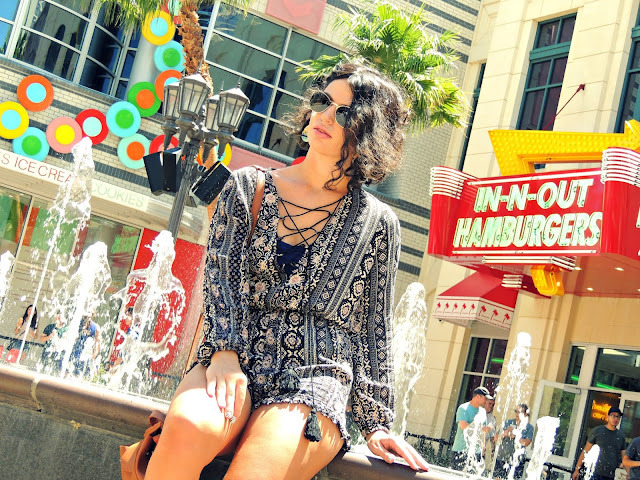 A bit of continuation from my last post "When in Vegas", I'm back in the city taking you to some other significant landmarks of Sin City. Plus, with me, you know you're going to get some style inspiration because I just can't live without it. 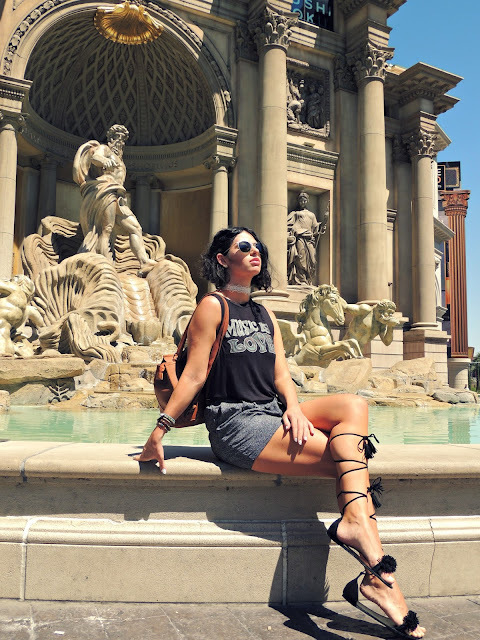 Sightseeing and fashion go together, hand in hand. This time I'm going to drop it low (meaning more casual) than my usual because the last thing you want to do is walk in heels all over the Strip in the boiling heat. If you're wondering, yep, I've done that more than once, and do not recommend it at all. As it might seem that the casinos are a short distance apart, you'll end up walking for hours, so make the right choice by wearing sandals or flats. 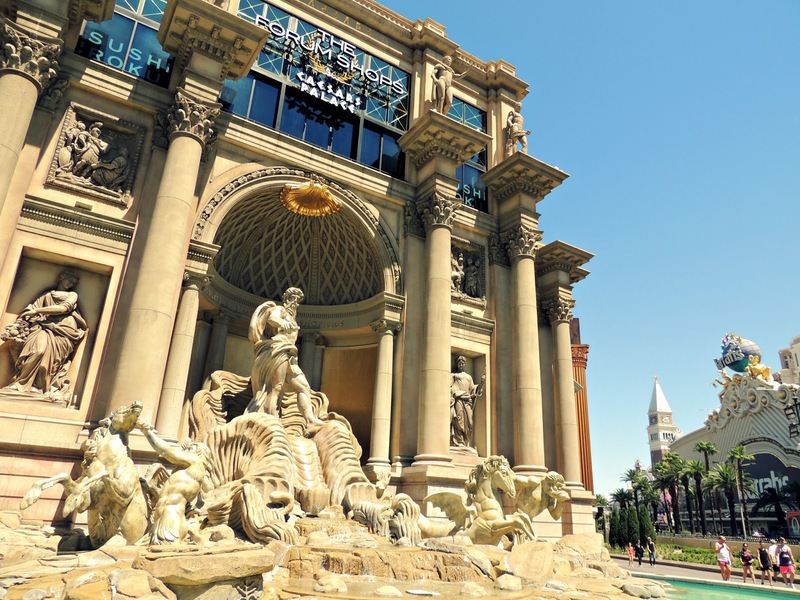 The first place I'm ready to take you to is Caesar's Palace, the Roman inspired fancy extravaganza with its own Trevi Fountain on the outside. 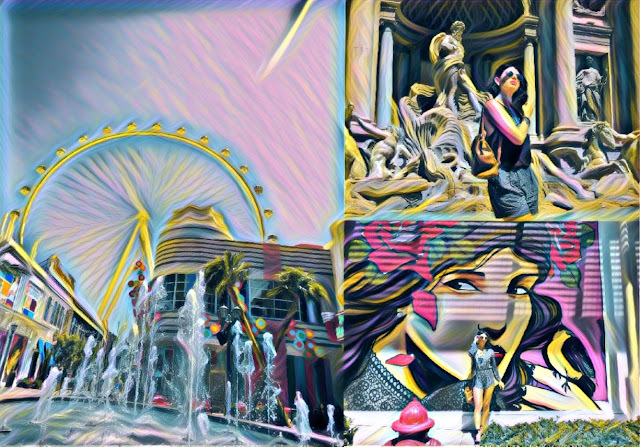 This is the place where dreams do come true even more so in Las Vegas, just take a coin, make a wish, toss it in the fountain and watch it chase you. I'm serious, you don't have to visit Rome for all of it to happen. Love is all around! 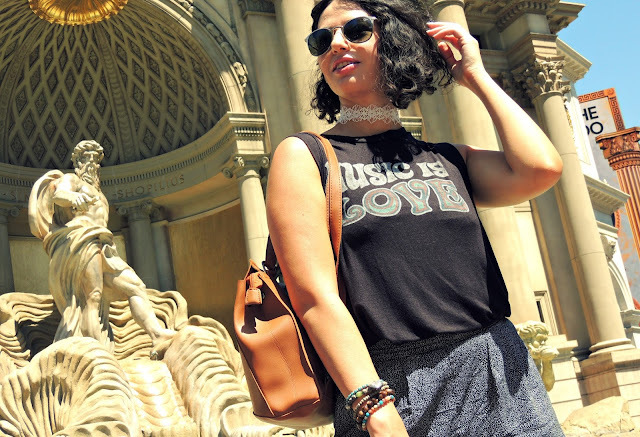 This beautiful place, my new Miss.Gypset tee, the overflow of great vibes when walking the Vegas Strip.... everything in one. Daydreaming or not, this tank top is the softest thing I've ever worn. I can't even remember the last time I was this impressed with a simple top like this. It lets me breathe, easily hugs the upper body and was the best choice I could have ever made for being hours in the desert sun. What's even more exciting is that it's now on sale, so you can grab it before it sells out. Also, for addition discount be sure to use code "RADI20", it'll allow you 20% off your purchase. As you can see, this outfit is meant for looking casual, chic and mostly, to feel comfortable for a long stroll through Las Vegas. For a mission like this, you'll most definitely need a backpack that is big enough to fit your essentials. This one managed to fit two bottles of water and everything else, like my wallet and keys, which is all I really need. I got it from Rosegal! What's even cooler is that the straps can be turned into one strap turning it into a satchel bag. You'll see what I mean in the next look, coming up. In addition to this backpack, I got the white lace choker as well. I've turned my whole jewelry collection into all different type of chokers. There isn't anything wrong with that, right? The quality is really great and I love the hallow out floral design, so I would 100% recommend it to you, if you're interested. Now, let's cross the street and head to the Linq, a street that is more alive than Times Square, full of restaurants, coffee shops, people left and right, music, and mostly a great time. 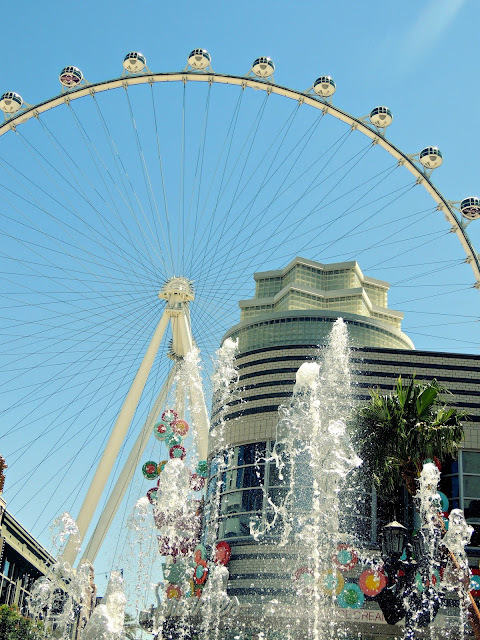 Here you can find the biggest wheel there is making it a sight you wouldn't want to miss. A cute romper goes a long way! This is another great look that can easily take you to more casual feels. 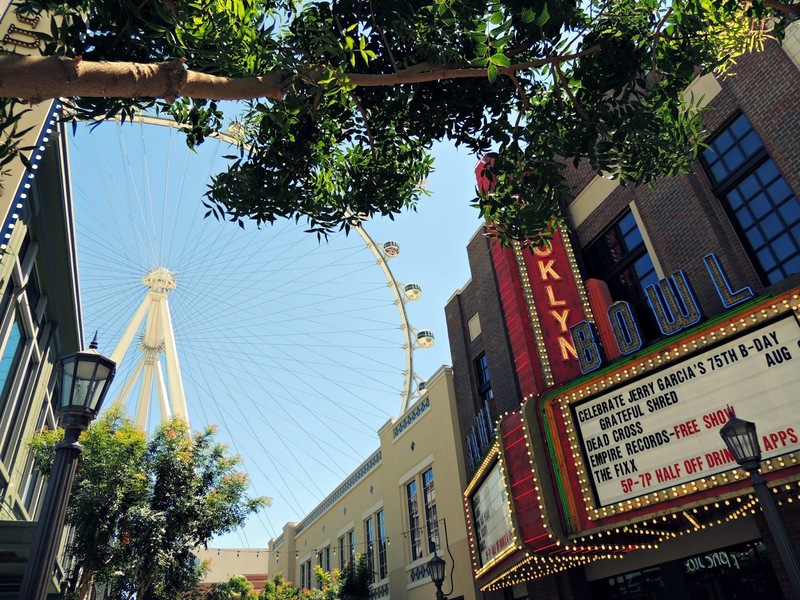 Feels that will allow you to enjoy the Vegas atmosphere, as that is the main goal when you visit this fabulous place. I did just that and am so happy that I can do it all again, tomorrow if I wanted to (the prize of being a Vegas local). 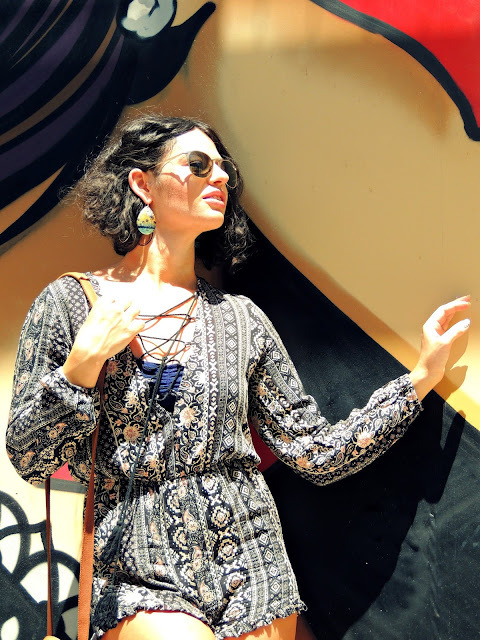 This time I'm wearing a romper with a cool print all over. I really like the long sleeves as most of my other rompers are with tiny straps. This piece is versatile for that and many more reasons. It has got ruffled hem, which I'm a fan of, hanging tie tassels in the front and guaranteed ways to take it from day to night. What do you think? Do you love it? From the same boutique store as the tank top and the forever loved romper dress, you can find this romper online at Miss Gypset. A little remind, to get extra 20% OFF use code "RADI20" at checkout. That is all from me this week, but you know by now, I'll be back next week. 'Til then you have so many more available posts you can check out on my blog. If you do, let me know what has been your top favorite so far? 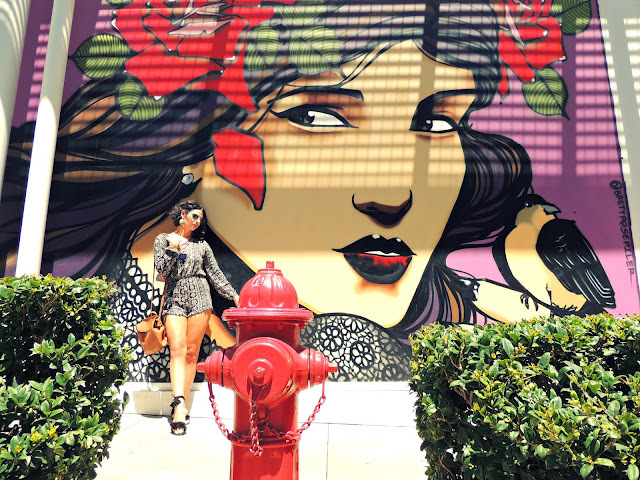 Super cute romper, and your pics are awesome. They really give a good feel to what Vegas is like! Yes, just like my outfits Vegas is fun and a great place to let loose. Wow, so interesting post! Photos are amazing, and you are really beautiful! So good outfit, and very nice place! I like it so much. Your comments are always the nicest and I love reading them. Thank you for your support so much. You would look amazing in these two outfits (age doesn't really matter)! Thank U and have a great weekend! I love your style and these are perfect shots. Seems like you had such a good time in vegas! Cant wait to see more of your post! That makes my day. I'm so glad to hear it. Super cute looks! 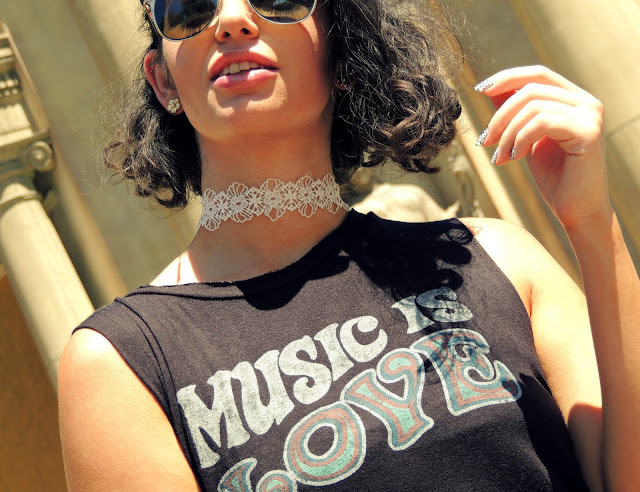 Love your white embroidery choker! I love this casual combination. Your style is amazing! And can we take a moment to appreciate that street art, so cool! Stunning photos, babe! I love your outfit and those sandals! I'm happy you like them!!! Beautiful you n beautiful Vegas! Thanks for following me. I just followed you back. I love your look! Vegas is an amazing place! Then you must visit again! I always tend to make that mistake especially when I think I'll only be there for an hour.... turns out I'm there for more than 5 hours. Beautiful photos! I love the background! I like first outfit! So comfy and chic! Look great. Thanks for sharing! I love it as well. Las Vegas is stunning. Your Outfit is beautiful and the pictures are stunning. Hey Hey! Drop it low! lol and I love the first artsy pic! Really cool. Such fun and vibrant photos! Your lace up sandals are the cutest!! You've got to come!!! You'll never want to leave. Head to toe gorgeous! Love everything about this look! Your comments are always so special to me. Wow, amazing styling and beautiful pictures!! I want to go back to Vegas so bad! Such a fun place :) Love your outfits! Amazing location, cool outfits and I love your lace up sandals! Oh what a pair of shoes . Thanks for the tour of the city. Thanks for the really interesting post and great photos! Have a nice day! Vegas indeed is a fabulous city. You're rocking a fab outfit as well! Vegas always sounds like fun and you look like you were having a great time. Love the casual comfy outfits. Perfect. 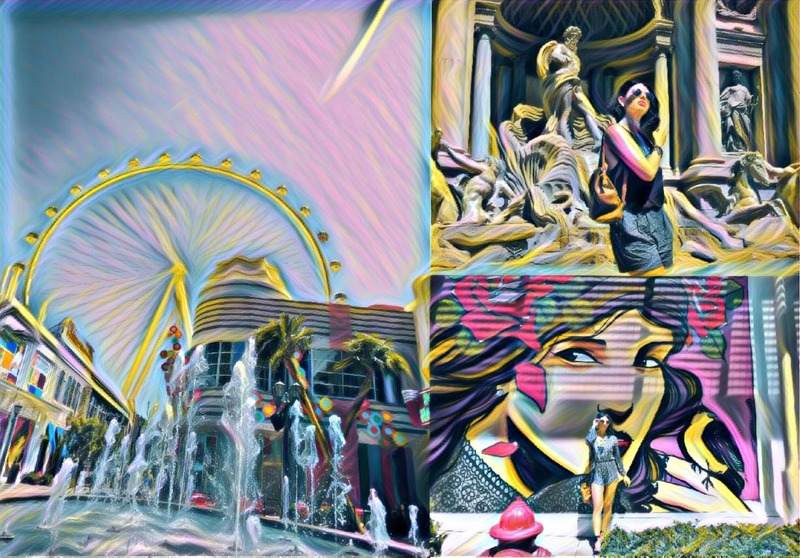 Vegas is full of beauty and fun! You will never run out of something o do in Vegas, ayt? Love your outfit, btw! You look great darling! Love the sandals. Both outfits are so perfect for walking around Vegas. Love that place always fun and so much shopping! Yep and it's so beautiful! Means so so much! Thanks beauty! Great look and beautiful photos! Thanks for sharing and have a lovely week! 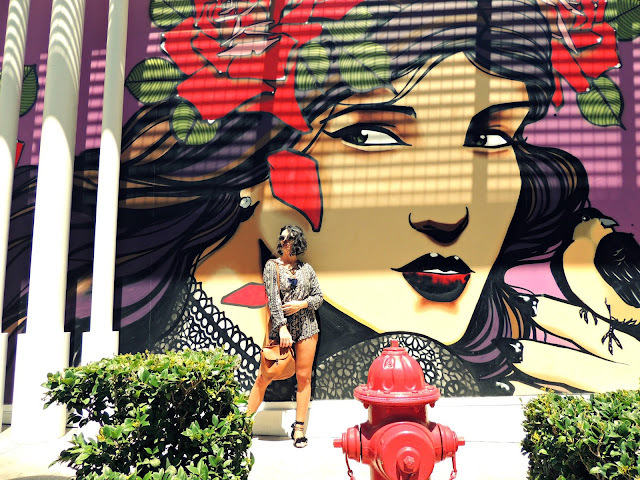 Love your Vegas style! Your photos are gorgeous! This tee shirt is so cool. I've been to Vegas a few times in my lifetime but I haven't been for at least 7 years. I don't know why either because it's such an easy and usually inexpensive getaway. I've also only ever visited in the fall/winter time and would love to experience the day pools! That fountain is so beautiful and I adore your black strappy sandals; this is such a great look on you babe! I'm so keen to visit Vegas at some point. Love vegas, it's always so fun! You did great capturing that great atmosphere in your photos! I really like your style! So statement! I absolutely love it. And the photos are so cool! I appreciate it lots, thanks Heidi!